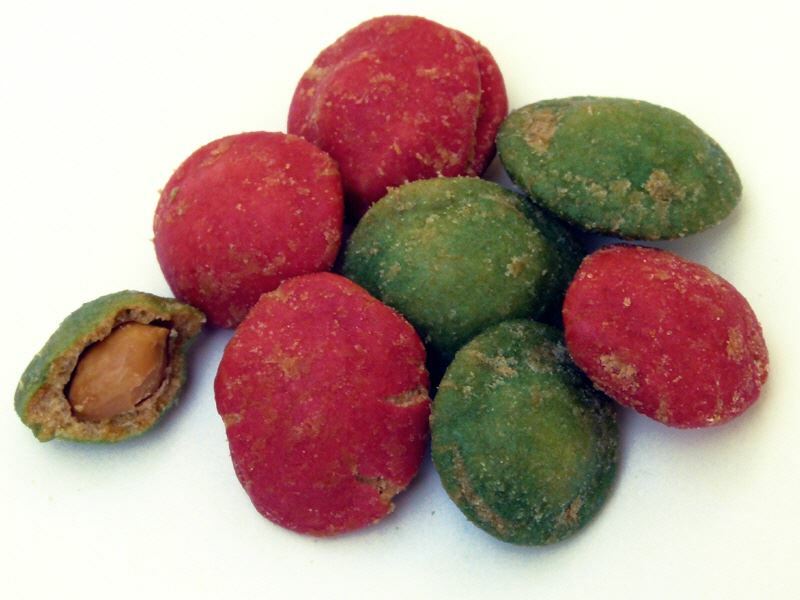 Peas, cashew nuts or peanuts coated in crunchy Wasabi dough and rice crackers spices with Wasabi. Wasabi products are nowadays extraordinarily popular snacks that should not be missing in any assortment. Wasabi, also called Japanese horseradish, is a plant of the Brassicaceae family and is native in Japan. Today, the 60 cm plant is also cultivated in Korea, the US and New Zealand. The Wasabi spice is made of the 3 cm rootstock. Wasabi is mainly known for its tasty pungency, which, similar to mustard or horseradish, derived from the aromatic oils producing vapours that stimulate the nasal passages more than the tongue. Wasabi is significantly hotter than horseradish, but the feeling does not last as long as for instance that of chilli. In particular in Japan, Wasabi is popular as a spice for sushi, but also to refine nuts, beans, or peas. In Europe, the popularity of the specific hot Wasabi taste has increased over the last years.